My epal Rob Tarj, like me, is a Tobago addict. He recently sent me a few pictures and an account of his holiday. Sounds as though he had a good time. Here are some pictures from our latest trip to Tobago. This was our 10th visit to the island. Before we left local friends told me that the fishing had been exceptionally bad for some time(apparently since last August) so I wasn't really surprised when it all started off pretty slow for me too, but as the holiday progressed things gradually fell into place and in the end it turned out to be a fantastic fishing adventure with some quality fish on my scoreboard. 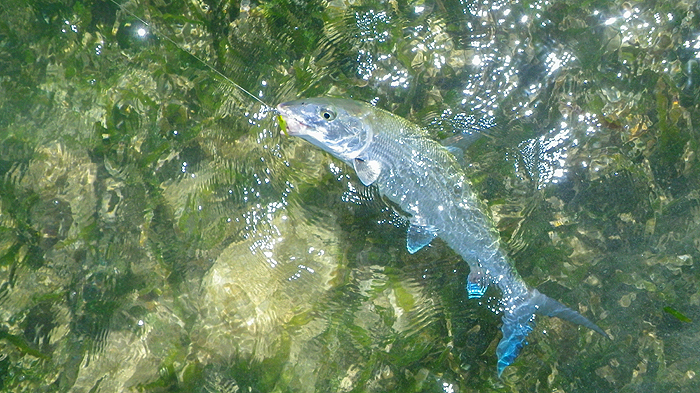 The snook were on the feed throughout our stay, I even lost count of how many snooky I hooked, played, landed or lost. The best of all was a fat specimen of about 15-16lb which smashed my mag popper when I was lifting it over an area of thick seaweed. 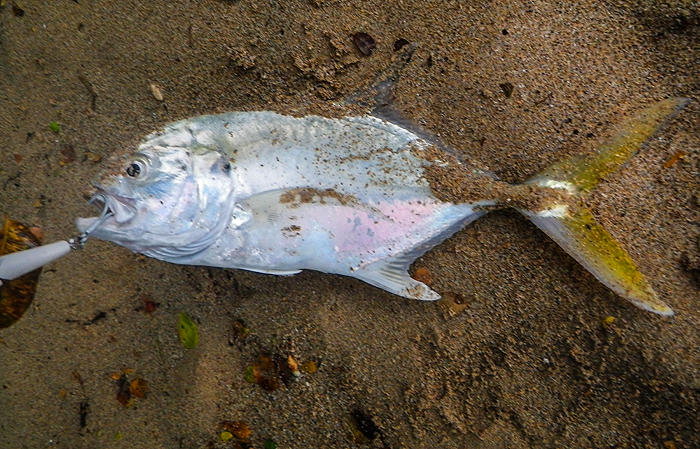 (previously I lost a barracuda of about 20lb on the same beach due to the seaweed). It was hard to get the bonefish to bite as for some reason they were spookier than ever. Towards the end of our stay we spotted some huge jacks that patrolled the coast appearing at different marks from time to time. 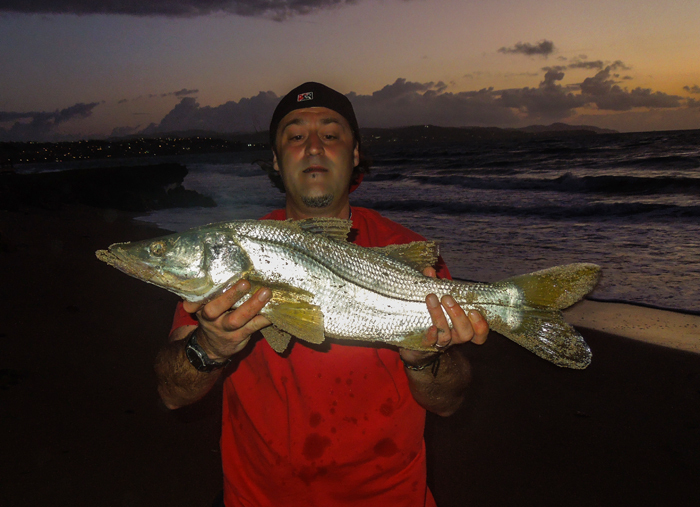 Desperate to catch one, I was running back and forth along the beach so that I could unleash one perfect cast. I couldn't manage a hook up as they didn't waste much time on one spot. So overall it was a fantastic holiday with some truly exciting fishing!! If all goes fine we'll be back soon for sure!! Rob loves the amazingly diverse shore fishing around the island and despite a few blanks at the start of his holiday clearly there was plenty of excitement. The fish you don’t catch are often more memorable than the ones you land.